Wimbledon BookFest Student Panel works with sixth formers from local schools to programme and run events that interest a younger target market.Wimbledon BookFest Student Panel works with sixth formers from local schools to programme and run events that interest a younger target market. Our 2018 students came from a mixture of schools in Merton - Ursuline High, Wimbledon College, Wimbledon High, RR6 and King's College School. The group meets regularly at HMV Curzon to discuss their ideas and progress organising and promoting events. 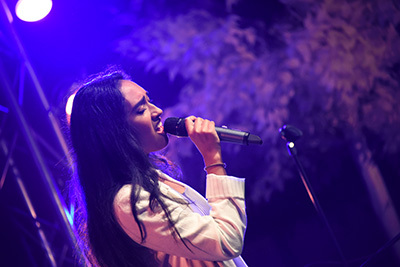 Last year's events included Politics Panel, Gig Night, Journalism Competition and a Comedy Workshop. 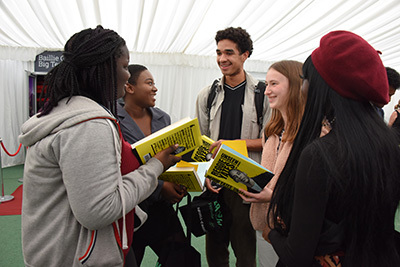 Wimbledon BookFest's Student Panel have programmed a selection of events for the festival since it set up in 2015. Events have included the Future of Journalism, Battles of Ideas Satellite event, Poetry Live, Gender Gender PoliticsPolitics and Young Adult novelist events. This year our Gig Night which gives young musicians the opportunity to perform will be running for the 6th year. It is hosted by Radio X's John Kennedy.